The Brexit vote shows how important national sovereignty still is — an important lesson for Taiwan. Picture an island with a strong sense of its own autonomy and identity, and distrustful of its huge continental neighbor, despite being deeply economically dependent on it – an island where the local population is divided between some who believe in closer integration with their mainland partners and those who want to make a final, decisive break and stand up on their own. This description fits both Taiwan and the U.K., with one important difference: the U.K.’s sovereignty is recognized by others; Taiwan’s is not. Comparing the two in 2016 helps to understand a little how it is that, so far into the era of globalization, sovereignty for nation states remains such a big deal. For all the shrill complaints by some within Britain, the very fact that on June 23 the U.K. was able to hold a referendum on whether or not it should continue to be part of the European Union (EU) proved it does have the ultimate right of self determination, despite persistent claims that all power had moved to Brussels. The question now is whether, having opted to break with the EU, there will be much left of Britain’s own economy and polity to enjoy the sovereignty the state feels it has got back. The U.K. is likely to pay a steep price, with the economic and political disarray that has occurred since the referendum looking ominous. There are two immediate conclusions that Taiwan’s new president Tsai Ing-wen can draw from the U.K. experience. The first is a practical one. Appealing to the public as the British government did in June for an answer through single issue referendum can end up being the road to perdition. Taiwan itself does have provision in its constitution for using referendum to resolve issues. Then-President Chen Shui-bian used the opportunity a decade ago to ask whether Taiwanese wanted to apply to join the United Nations. At that time, the motion was not carried. Looking at the travails that the U.K. has undergone since opting for EU exit in late June, it is hard to see Tsai feeling that appealing to public opinion through a national plebiscite on, for instance, support for the 1992 Consensus, or dropping of the Republic of China name, offers an attractive route to solve deep seated problems. The second conclusion is more profound. The U.K.’s Brexit vote shows that leaders, wherever they are, underestimate the powers of sovereignty even at this stage of late modernity at their peril. Despite decades of globalization, and the erosion of trade, cultural, and political identities, people are willing to pay a high price to preserve their sense of belonging to nation-state entities. The 1648 Westphalian model recognizing these as the fundamental building blocks of international relations was meant to be partly unpicked by constructions of multinational bodies in modern times, of which the EU was amongst the most successful. Some even dreamed that bodies like the UN would one day morph into a form of world government. If for no other reason, June 23 in the U.K. was significant in showing that this idea has profound limits. Large communities do not feel that globalization has worked in their favor at all. The free movement of peoples has created tensions and strains. The British chose to punish their political leaders who, they felt, had foisted on them a bad deal. They want their world to get smaller, not bigger, and they took the chance to assert that. Allegiance to nation states is, if anything, even more powerful in Asia. The only multilateral entity in the region, the Association of Southeast Asian Nations (ASEAN), has nothing approaching the pooling of sovereignty that the EU saw. For its members, self determination functions like a religious article of faith. The People’s Republic of China is even more remorseless in asserting this than others. Questioning its sovereignty is regarded almost as a taboo subject. It is profoundly ironic that an idea born in the middle of the 17th century in the old home of colonization, Europe, continues to prove so powerful and dominant in a region half a world away. But in 21st century Asia, Westphalian principles rule. For Taiwan, the “S” word is particularly contentious. A mere 21 countries still accord it diplomatic recognition. For the UN, other international bodies, and the vast bulk of the rest of the world, Taiwan is a state that cannot be called a state. Taiwan is stuck in a strange limbo where it has all the attributes of an independent entity – its own currency, fiscal system, military, postal service, and elected leaders – and yet continues not to have the right to call itself, in the end, a sovereign state. Most Taiwanese, according to polls, regard themselves as different from people in the Mainland. Most do want some kind of greater status or recognized independence. But, in view of the threats directed at them across the Strait, the majority also supports the status quo because they know demanding sovereignty will be too dangerous. On June 23, for British voters, sovereignty was a notion they were at least able to discuss openly. For Taiwan, sovereignty is so contested and controversial that the very notion of holding a referendum on it would be too incendiary. The British, who had the powers to exercise sovereignty all along within the EU, still didn’t feel it was enough. 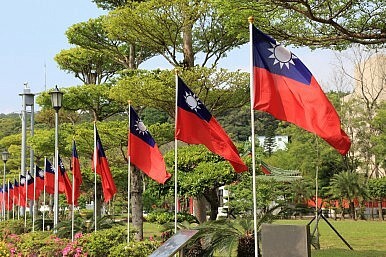 The Taiwanese work under even greater restraints on their expression of self determination. In different ways, both show that one of the curious things about sovereignty: the amount you have is never enough. Is eSwatini on the Brink of Cutting Ties With Taiwan? A new report says eSwatini is trying to establish diplomatic ties with China.